The New 2019 bag is a 9 racket bag that has 2 straps allowing you to carry the weight evenly on both shoulders. 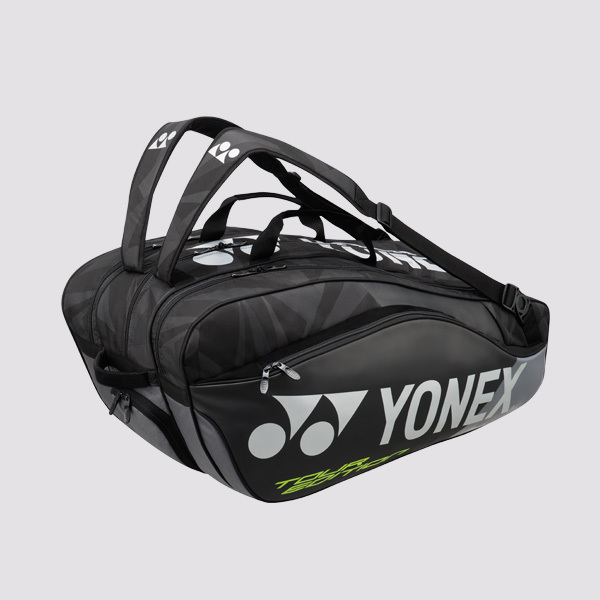 The bag has 3 large pockets, one with thermo gaurd lining to protect the rackets from heat. The bag has a small zipped pocket on the side to keep keys, money etc. The bag also has an upper shoe compartment to keep the shoes seperate from other things in the bag, the shoe compartment on the top of the bag makes it easy to put them away. Free delivery available on Yonex Pro Racket 9829 Black 2019! Order now! Do you own the Yonex Pro Racket 9829 Black 2019?